Three of the Nashville music industry’s most talented and hardest-working women were named Billboard Women In Music honorees. Nearly 200 executives were nominated and whittled down to 41 honorees that made the final list. • Kelly Rich, Senior VP of Sales, Marketing and Interactive, Big Machine Label Group, lands at No. 27 on the list. Rich leads the company’s interactive and digital efforts; BMLG’s Twitter followers for its label and all its artists, have increased 104 percent from year to year. Rich lists her mentor as Big Machine Label Group CEO/founder Scott Borchetta. She has been named a Billboard Women In Music honoree twice. • Mary Ann McCready, President, Flood Bumstead McCready & McCarthy, comes in at No. 31 on the list. The company’s clients include Keith Urban, Kings of Leon, Miranda Lambert, Eric Church, and Blake Shelton. McCready founded FBMM in 1990, is a trustee of the Country Music Hall of Fame, and was the first female recipient of The CMA President’s Award. McCready has previously been named a Billboard Women In Music honoree. She lists her mentor as former president/CEO of Cedarwood Publishing, Bill Denny. 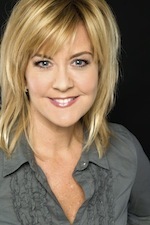 • Carla Wallace, Co-owner/GM, Big Yellow Dog Music, lands at No. 37. With singles on the chart every week since January, the independent publishing company’s hits this year include “Drunk on You,” Luke Bryan; “Blown Away,” Carrie Underwood; and “Love’s Gonna Make It Alright,” George Strait; as well as singles by Gloriana, Lady Antebellum, and Darius Rucker. The company placed a song in the film The Bourne Legacy, and scored an international cut on Susan Boyle’s album. Wallace, who received MusicRow’s Rising Women on the Row honor earlier this year, lists co-owner Kerry O’Neill as her longtime mentor. The issue also profiles women in leadership roles at each of the three performing rights organizations, including Nashville’s own Ellen Bligh Truley, VP of Corporate Relations at SESAC. She produces the organization’s annual awards events for all genres, as well as the annual songwriter boot camp. Truley and her team also handle branding initiatives for SESAC at Grammys on the Hill, and partnerships with Land Rover, Maker’s Mark, Icelandic Glacial Water and Red Bull. Her department oversees SESAC magazine, and the organization’s social media and mobile marketing, which were key to making a big splash with the recent news that the organization is offering monthly royalty distributions. Other profiles feature Lauren Iossa, Sr. VP of Communications and Media at ASCAP; and Alison Smith, Sr. VP of Performing Rights at BMI. 18. Tifanie Van Laar-Frever, Senior buyer, Walmart. She’s making sure country fans can find product on retail shelves. 28. Marcie Allen, President, MAC Presents. The Nashville native moved her sponsorship and live events agency to New York a few years ago, but continues to be a major player in country music and beyond. In the last year her initiatives included placing The Band Perry for Samsung/AT&T at the Cotton Bowl, further developing social media partnerships and obtaining clients from the fashion world. 29. Kathy Spanberger, peermusic president/CEO. Among her wins this year was working with peermusic Nashville creative director Michael Knox to ink a co-publishing agreement with Neil Thrasher. 38. Kate McMahon, VP/senior director of marketing, the Messina Group/AEG Live. She worked on the sold-out George Strait dates featuring Martina McBride, as well as the Kenny Chesney and Tim McGraw Brothers of the Sun tour, where she handled partnerships with American Express, Corona Light, Costa Sunglasses and GAC. 40. Beka Tischker, Producer/writer manager, Advanced Alternative Media. She works with Dr. Luke and lists Victoria Shaw as mentor. The Belmont alum’s career has included time in Nashville, where she is building a presence for AAM.